When you think of all the essentials that a young baby or child needs when you’re out and about, would you associate them with the bag above? Baby changing bags are traditionally only designed for that purpose, the wonderful bags designed by Pink Lining (link below) take you from birth, to toddlerhood and beyond. Practically perfect & perfectly practical changing bags. 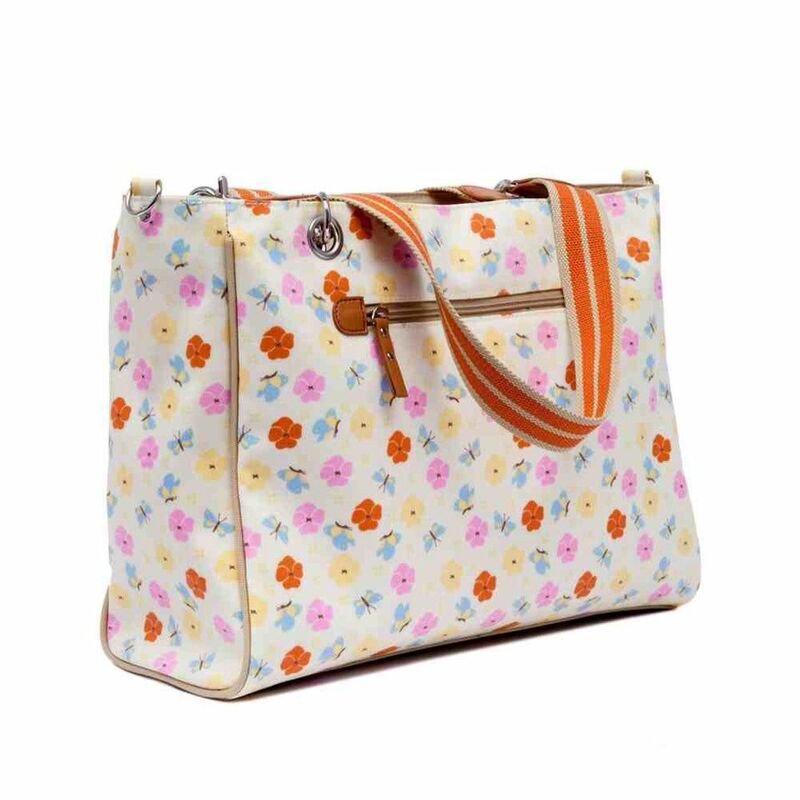 Beautiful bags inside and out, perfect for fashionable mums. 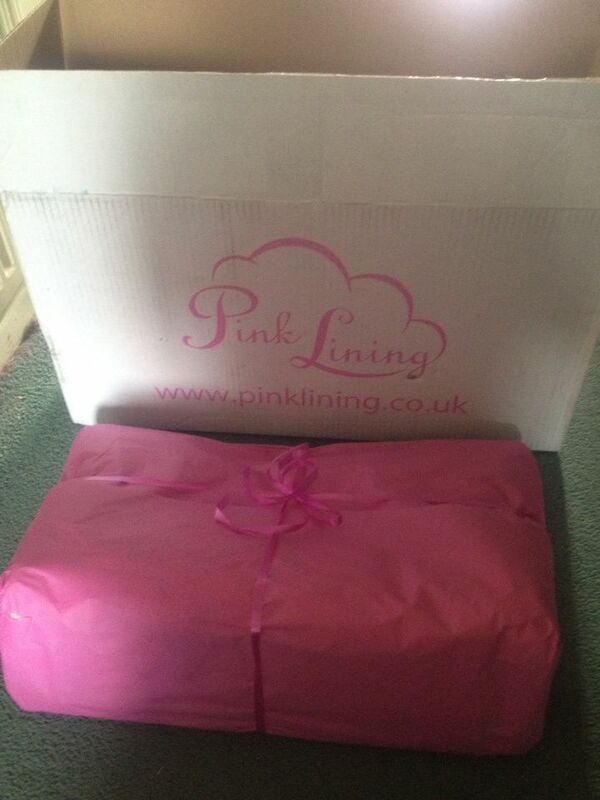 Free UK delivery on all orders! We went sent the bag above, a Bramley Tote http://www.pinklining.com/uk/bramley-tote-pansies to trial and were really pleased with it. The Bramley Tote is a bag looks more like a designer handbag than a baby changing bag. Sling it over your shoulder to look like a lady who lunches, rather than a mummy who ends up wearing babyâ€™s lunch!!! It is a bucket shape bag with a zip across the top so it has plenty of room for all your baby essentials. The bottle pouch and changing mat can be removed when you no longer need them or for when you have an outing to the pool or beach. 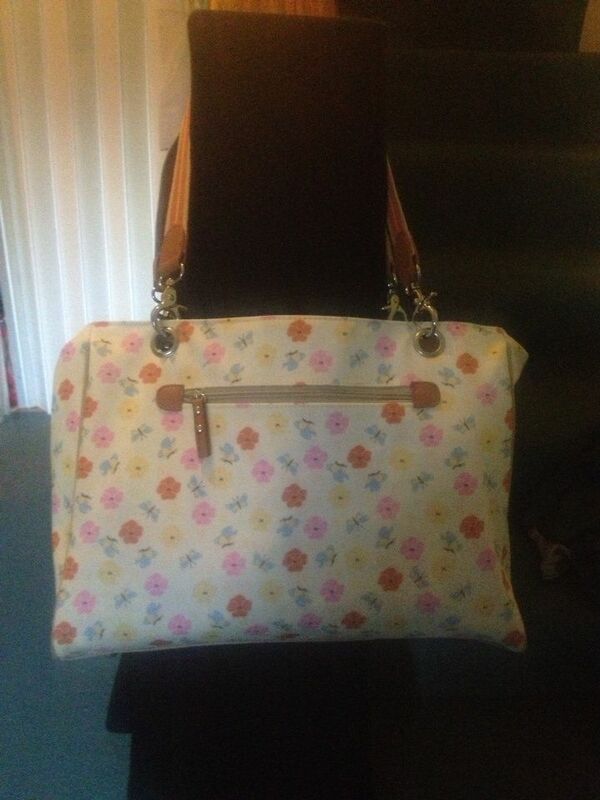 This bag has a large zip pocket across the front for all mummy things. The bag also comes with two removable hook and stroll clip shoulder straps for easy fit over any pram/buggy handle bars. Internal Features: 1x removable insulated bottle holder, 2x nappy pockets, pen holder, key fob, mirror, phone pocket, small zip pocket, padded changing mat and wet zip bag. Of course, once your child is older and there is no longer the need to take everything-but-the-kitchen-sink along everytime you venture out of the front door, the bag doubles up very nicely as a very nice handbag. It’s wipe-clean exterior meaning that it will always look very smart. Our bag has gone on numerous outings and journeys with us, with plenty of room for drinks, snacks, wipes and the little bits and pieces we carry around. It looks very smart hanging from the back of D’s buggy. It’s reduced on the website at the moment too! The Bramley Tote is a bag looks more like a designer handbag than a baby changing bag. Sling it over your shoulder to look like a lady who lunches, rather than a mummy who ends up wearing baby’s lunch!!! Disclaimer: we were sent a Bramley tote bag for our use and review. Our words and views are our own.